KOTA KINABALU: Police are trying to find Tan Sri Musa Aman to get his statement for allegedly intimidating Head of State Tun Juhar Mahiruddin. 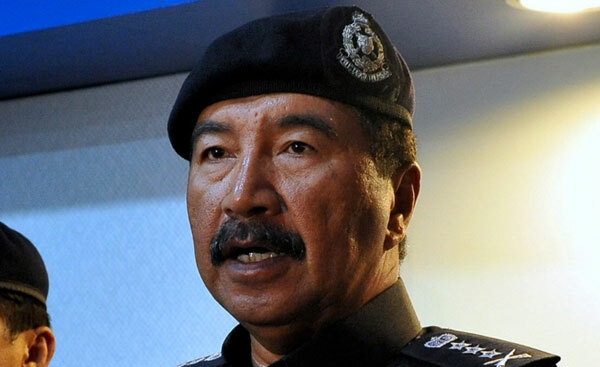 Sabah Police Commissioner Datuk Ramli Din said that Musa was not in Kota Kinabalu and the police were also unsure if he had left the country. “We are finding ways to get to him and record his statement,” he told press members after the biscuits and tidbits contribution to members from nine security enforcement agencies that are on duty during the Hari Raya Aidiladha celebration. Ramli added that Musa was being investigated under Section 506 of the Penal Code for criminal intimidation. To date, a total of nine statements have been recorded in relation to the case, he said. He added Juhar’s statement had also been recorded. “There is no warrant issued as of now. We will complete the investigation paper. We will try to complete it soon,” he said. Ramli also said that they were confident they will find Musa soon. “We only need his statement and some more actions that need to be taken before we submit the case to the deputy public prosecutor,” he said. Musa took his oath before Tun Juhar after the Sabah BN formed an alliance with Parti Solidariti Tanah Airku (Star) to form the government with a simple majority of 31 out of the 60 state seats. Two days later, Datuk Seri Shafie Apdal, who is also Parti Warisan Sabah president, was also sworn in as the Chief Minister after six Sabah BN assemblymen declared support for him. Juhar lodged a report against Musa, who remains as Sabah Barisan Nasional chairman, several days after the latte’s swearing in as the chief minister on May 10. “It was on May 14,” said Ramli on when the report was made by Juhar. The State Istana had also sent a letter to Musa, informing him that he ceased to be the chief minister with effect on May 12. On May 17, Musa initiated legal action against Tun Juhar and Shafie to seek a declaration that he was the legally elected Chief Minister.